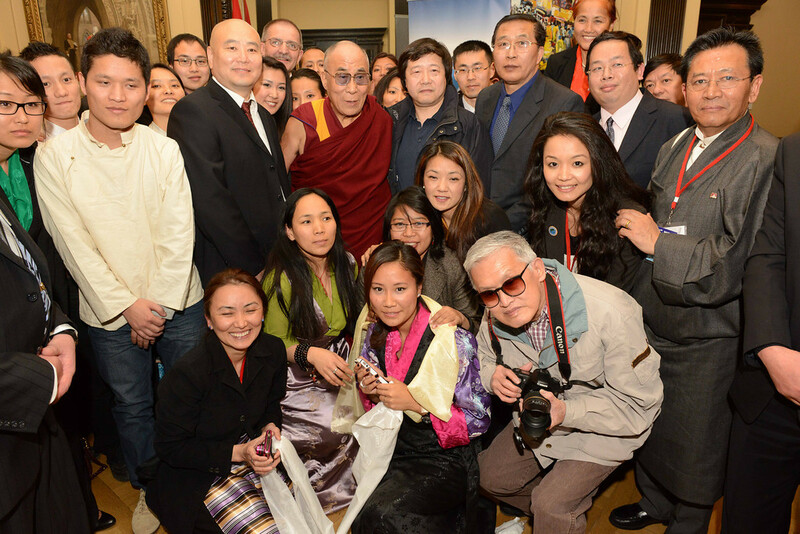 For a city that’s home to about 20 Tibetans, Ottawa sure felt like the centre of the Tibetan universe this past week. 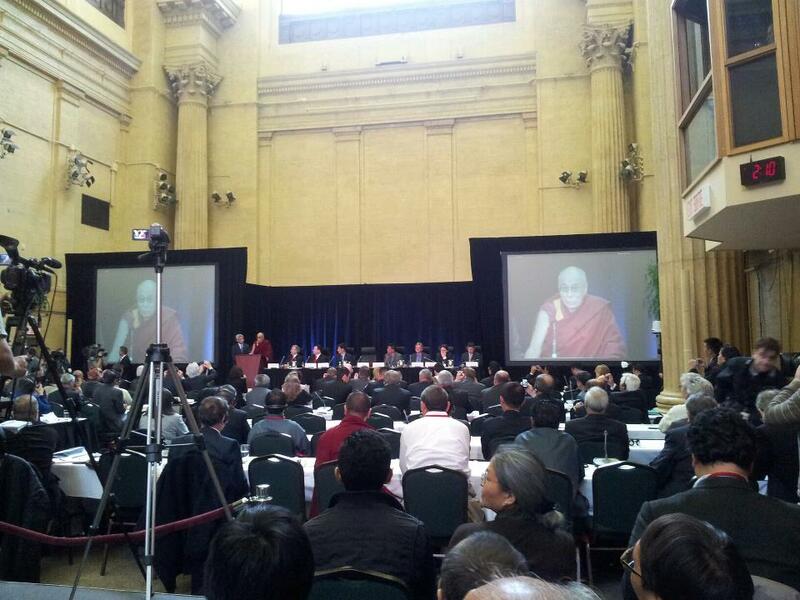 This past weekend, Ottawa played host to the World Parliamentarians Convention on Tibet (WPCT). This has been a dream of Canadian Senator Consiglio Di Nino’s for a very long time – even when I was working in his office back in 2006-2008, this was something that was something that was going through his mind, and it was amazing to finally see it come to life. My whirlwind week ultimately began Thursday evening – I was at my office when I got a surprise call telling me that Kundun was arriving at his hotel shortly and that I should come. I rushed to the hotel like a madwoman. Being that Ottawa has such a small Tibetan population, it wasn’t too much of a struggle to get a jeykha. His Holiness touched my hands as he walked through the hotel lobby. Even though, I’ve been fortunate to receive many blessings by Kundun in the past, I couldn’t help but make sure I got another – over the weekend, talking to other young Tibetans here, it was described to me as getting “our fix” – you just can’t get enough! Early the next morning, members of the Tibetan community volunteered in different capacities for the first official day of the WPCT. I was tasked with walking parliamentarians from the hotel to the convention centre. 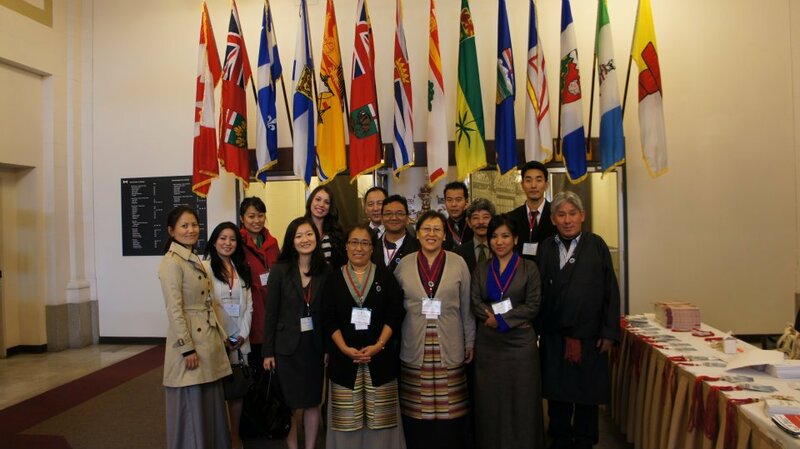 This was such a great opportunity to speak with parliamentarians from all over the world, and ask them how they got involved, what they’ve done for Tibet in their respective countries, and of course thank them for their actions for Tibet. I spoke with parliamentarians from Italy, Iceland, France, the United States, Russia, and from our own Tibetan government. It was really inspiring, humbling, and educational. On one of my trips back to the hotel to get the next batch of parliamentarians to guide, I had amazing timing. I was in the lobby waiting when Richard Gere walked by, smiled and waved – I was so starstruck, my jaw dropped and I think I might have drooled a little – I hope I didn’t scare him. Two minutes later, even more luck! Kundun was leaving the hotel, and he touched my hands again as he walked by. I was able to attend some of the convention, and a key moment for me was when Kundun addressed the convention. 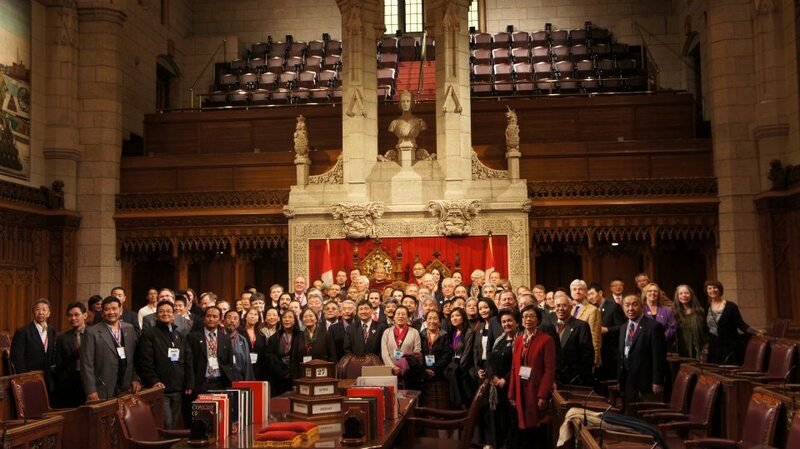 It was definitely a surreal moment to be a part of – seeing all these parliamentarians who had travelled from all over the world, their eyes, thoughts, and actions on Tibet. Meeting with Tibetan and Chinese youth, urging dialogue. That evening was also quite surreal. There was a dinner reception hosted by the Parliamentary Friends of Tibet, and world parliamentarians, leaders of Tibetan civil society, and even a Hollywood movie star (Richard Gere!) were all gathered in a beautiful large room in Parliament. It was unreal to be eating, drinking, and mingling among these people. I made many new friends that night, so I’m sure everyone else in that room did as well, strengthening the Tibet movement. At multicultural dance party. Can confirm that Indians have much better moves than Tibetans. Jai ho! The next morning was also an early one. There was a private audience for the Tibetan community with Kundun, however not everyone got in. 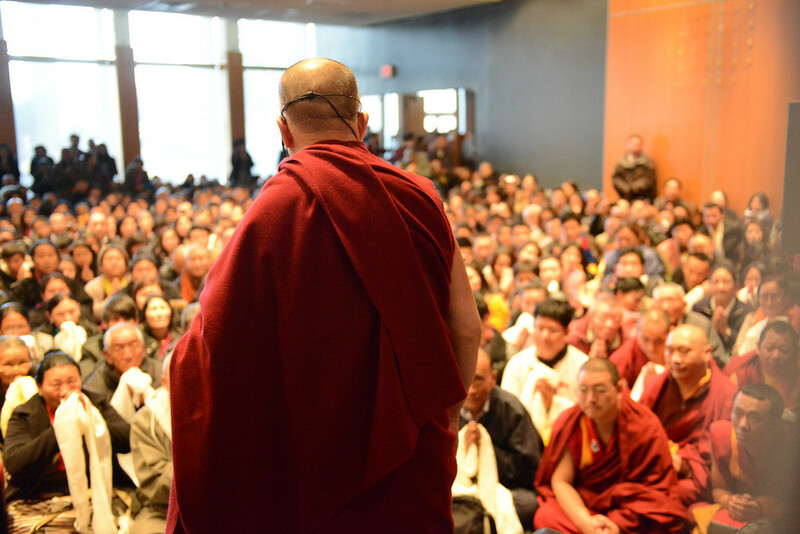 The private audience was in a room meant for 300 people, but there were definitely about 1,000 Tibetans who had come, so many weren’t able to get in. Needless to say, there were many frustrated people, and I heard of an elderly Tibetan man who was crying because he couldn’t get in. Something I found kind of funny was that most of the Tibetans who live in Ottawa like me were towards the back of the line and didn’t get in – I think a lot of us almost felt guilty going for another jeykha after having met Kundun numerous times over the last few days, so I assume that might have added to the laxness in not getting to the private audience early. This is just a tiny bit of what the past few days consisted of – I think someone could and probably should write a whole book on everything that happened. But a theme that seemed to persist and something I heard His Holiness say over and over again this weekend was not to lose hope for Tibet. That although this is a critical time for Tibet, and the Chinese government is oppressing Tibetans with all its might right now, the stronger the Chinese attempt to crush Tibetans, the stronger the Tibetan spirit grows. And I think that’s something that this weekend did for me. With the ever-growing suppression in Tibet, attending this convention, speaking with lawmakers and hearing about their passion and work for Tibet all over the world, definitely helps keep my hope alive.